Thinking of purchasing a Cook shed? 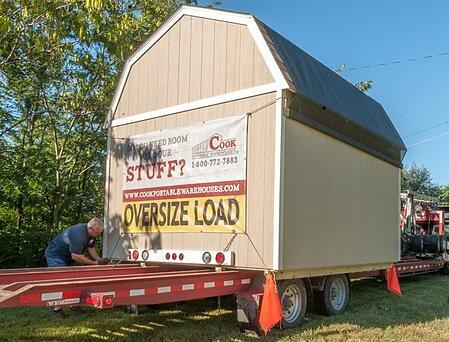 Here's what you can expect from Cook's shed delivery process. 1. 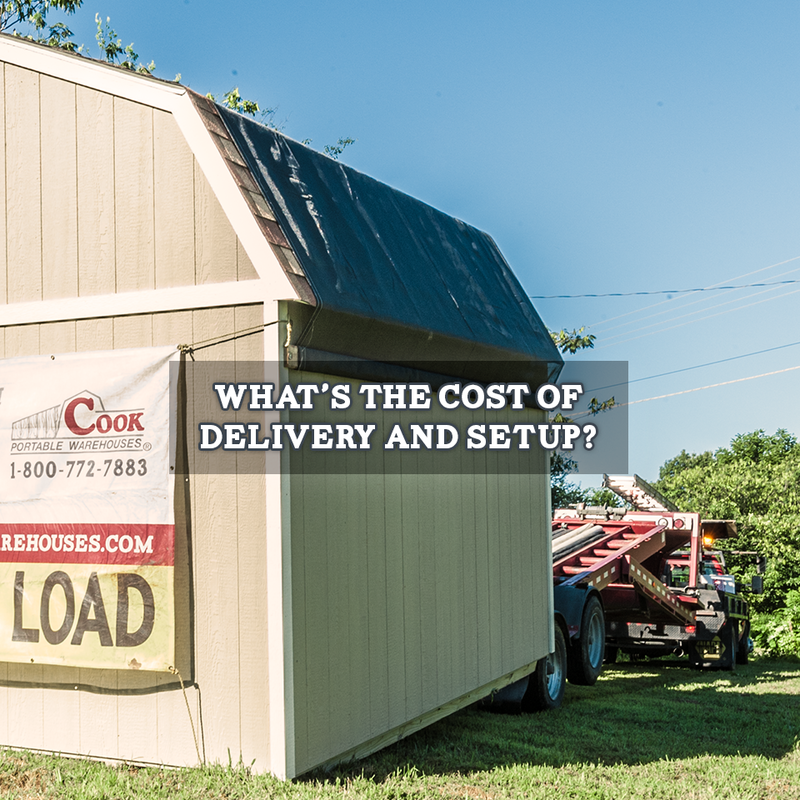 What does your shed delivery cost? 2. How long does it take for the shed to be delivered? 3. Who will be in my backyard? Let's tackle the first question. What's the cost of delivery and setup? It's FREE! We deliver our sheds free of charge. For your second question, our typical delivery time is 7-10 business days from the shed purchase date. We strive to make sure every delivery is simple and hassle free for our customers! 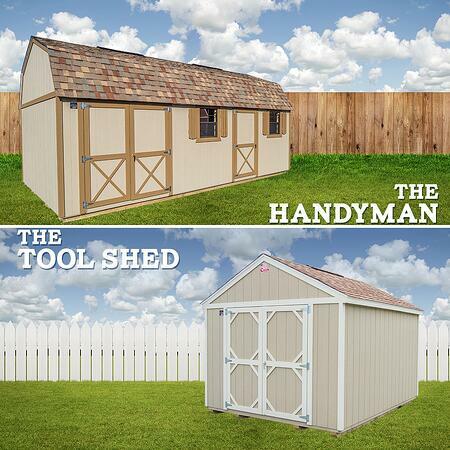 Now, one question you should always ask when looking at shed options is, "who will be in my backyard during delivery?" 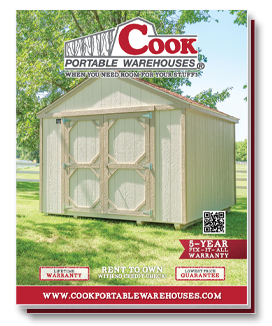 With Cook Portable Warehouses only a Cook employee will be in your backyard. Our drivers have all gone through background checks and will be driving Cook delivery trucks. We do not hire out through a third party for our deliveries. When you buy from Cook, you deal with Cook through every part of the buying or renting process. 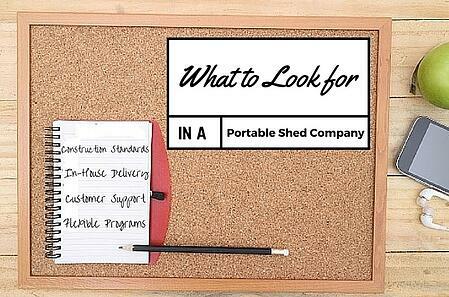 To ensure you’re ready for your new Cook Portable Warehouse, here are some items to remember when preparing for your portable building to be delivered as well as more information about the entire shed delivery process. 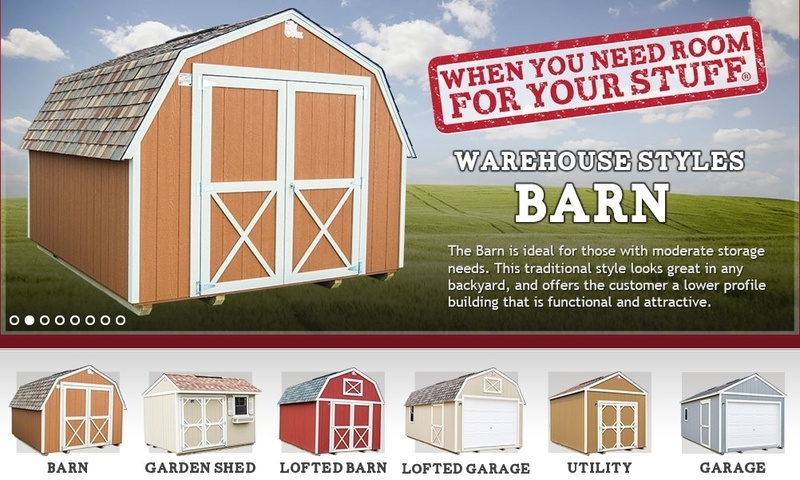 If you are in the market for a portable shed, one of the first steps is to decide what style building you are looking for. Consider the future purpose of the building and what size and features are on your list. If you have selected to buy from Cook, first we want to say thanks for your business! And now, it’s time to select one of our building styles! Here is a little information about each one to help you choose the right fit for your storage needs! 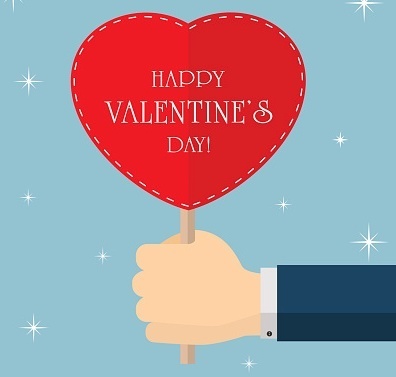 When you think about Valentine’s Day, you think about those romantic gifts like flowers, candy, jewelry or just having a nice dinner and spending time with your loved one. But sometimes the better way to go with holidays is the untraditional route. So, how about the out-of-the-box gift of a Cook shed this Valentine’s Day? And, here are a few more Valentine’s Day gifts for the home that are popular this year! At Cook our focus is always on customer satisfaction and growing to meet changing customer needs. With another year in full swing, we have added several elements to our business and are excited to share them with our customers! The first is our new 60-month Rent to Own financing option! 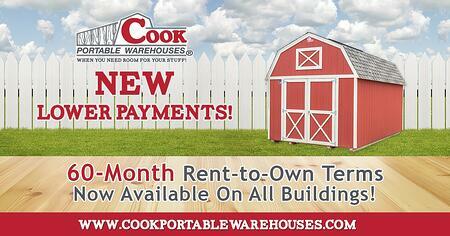 Learn more about all our Rent to Own payment plans here! 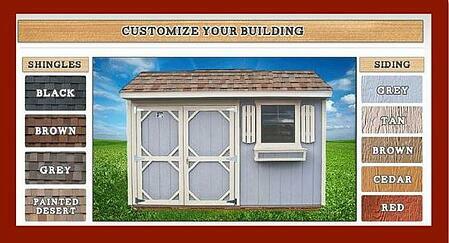 And, we have also expanded our building styles to include some new and innovative models! At Cook, we are constantly tweaking the building styles and features we offer according to requests we hear from our customers. But that’s not all, we also frequently add to our list of buying programs to increase the flexibility and get every customer the Cook building of their dreams. So, you’ve decided that a portable building is the right solution for your storage needs. Maybe the clutter continues to pile up and you want to start the year off by getting organized, you need more room for a new hobby or just want to extend the space in your home. Whatever the reason, you have made a great selection! A portable warehouse is the smartest choice on the market compared to other options like storage units. Click here to see our comparison of the two! There are always those people that are impossible to buy gifts for. We all have that person in our lives that keeps us guessing if we have chosen the right present. Maybe it just seems like they already have everything or are just super low maintenance. Well, maybe the ideal gift has been right in front of you all these years! 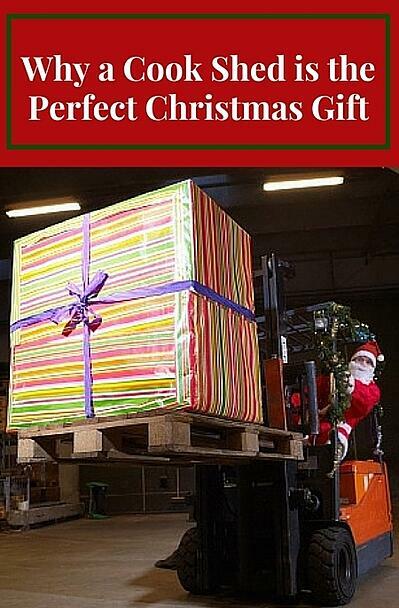 A Cook Portable Warehouse is the Christmas gift for any of those difficult shoppers on your list! So you have decided to buy a Cook Portable Warehouse. We are excited to welcome you into the Cook family and that you have trusted us with your business. 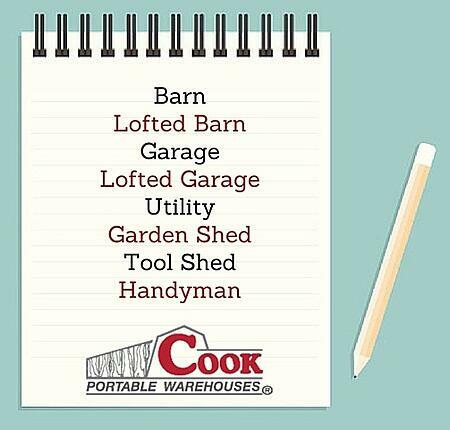 Since you have made the first big decision by choosing a Cook shed you are already on the right track! But, there are some other important choices each Cook customer has to make to ensure that they get the perfect building for them! In our last 2 blog posts, we talked about the dangers for the consumer if they choose one of our competitors for their storage needs. It’s important to be wary of the inferior building products and construction standards along with incomplete and untrue warranty promises. To learn more, read part 1 and part 2 of our blog series.